4 Things You Should Know Before Starting Chemotherapy! Chemotherapy is a form of cancer treatment that uses drugs to kill cancer cells. It targets cells that divide and spread quickly, to restrict the spread of cancer. However, this treatment affects your whole body as well as the fast-growing healthy cells as well. Here are some things that you should know before starting chemotherapy. Dr. Murali Subramanian, Best Medical Oncologist in JP Nagar at Oncology India Hospital mentions 4 factors for you to be aware of chemotherapy. Cancer cases tend to change over time and so does its course of treatment. Though you may receive an initial diagnosis after the first biopsy, the prognosis and treatment may change as the doctor gets more information about your cancer. 2. Every chemotherapy experience is unique. Everybody’s reaction to chemotherapy is unique. Chemotherapy affects different people in different ways. Some people experience itchy skin rashes, an unpleasant metallic taste in the mouth, fatigue, hair loss, or nausea. Everybody reacts differently to the treatment. 3. You may feel numbness and pain in your hands and feet. You might experience weakness or numbness in your hands and feet. This is commonly referred to as Neuropathy. It is a common side effect of chemotherapy, and it reaches its peak in 3 to 6 months and there is gradual recovery once treatment stops. 4. The effects of chemo get worse with each cycle. Doctors will normally warn you that each session will only get harder. It’s normal to feel weaker after each cycle of treatment. This is because chemotherapy drugs are designed to enter your system and combat the spread of cancerous cells. However, in the process they tend to weaken and drain your body, leaving you exhausted and weak. Coping with cancer is difficult, and chemotherapy is one of the hardest parts. Despite the difficulties involved, it’s essential that you don’t give up hope. By undergoing proper treatment, going for regular checkups, and maintaining a positive outlook, you stand a good chance of overcoming cancer and living a healthy life. 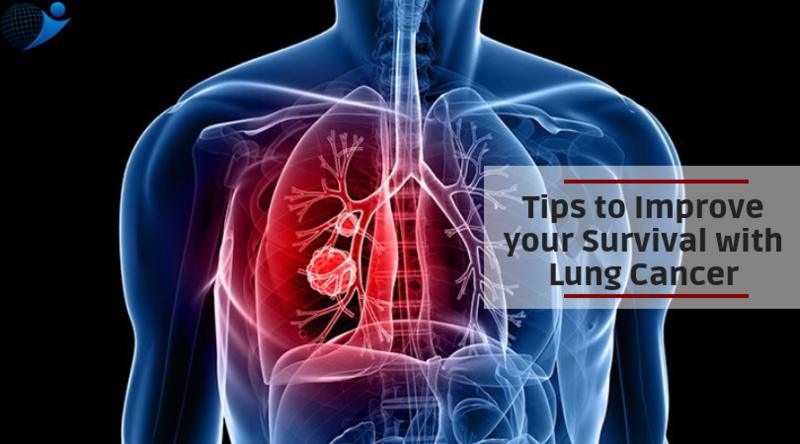 How To Better Your Chances of Survival While Fighting With Lung Cancer?